Thursday 18th May was Global Accessibility Awareness Day, a worldwide event that happens every year. One of the goals is getting people thinking about accessibility and inclusion in technology. I think I first found out about and got involved with GAAD back in May 2014 while I was working at Flow. 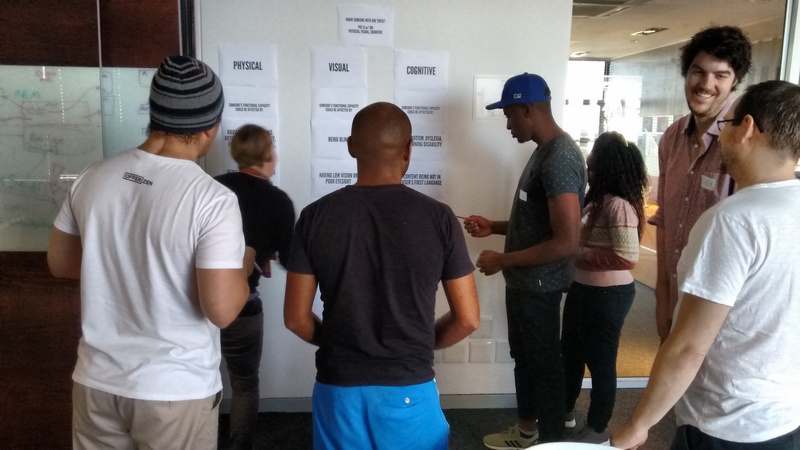 We spent an hour doing the GAAD activities, then I wrote up our findings. 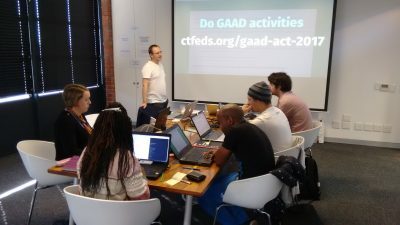 GAAD is now a regular thing for CTFEDs (Cape Town Front-end Developers). We did our first GAAD event in May 2016 and another one on 19th May this year. Rather than do an event on the actual day, we find a weekend next to it so that we can do a workshop. This lets us go into more detail and help people plan what to do next: something clear and actionable to help make their stuff more accessible. We even managed to sneak in a very GAAD-like workshop for Open Design Cape Town last year. One of the goals of GAAD is helping make accessibility mainstream. At the workshop, we talked about comparing accessibility to responsive web design. These days very few websites aren’t responsive. This wasn’t the case a few years ago, though. “Make it responsive” used to be a separate line item, and we had to convince clients that it was necessary and needed. 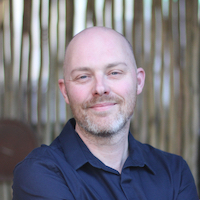 Nowadays we don’t mention it all: we mostly assume that a site will be responsive. One of the developers who attended the workshop told us about an experience he had where a designer sent him only a desktop design for a site. His (awesome!) reaction was “where’s the rest of it?“ It’s become deeply ingrained in how we design build sites that they’ll be viewed on many different screen sizes. We also talked about how accessibility can be a difficult sell to clients. A lot of the result of the work isn’t immediately visible the way it is when doing responsive web design, for example. The work will save you time in the long run, and bring you more money from more customers. There’s little in the way of immediate, shiny ✨, demonstration you can provide, though. Another one of the developers talked about how some of her clients are on a tight budget, and that they can be difficult to sell accessibility to. As a group we discussed different ways of approaching this. We talked about how many of the changes have additional benefits. Adding alt text to images helps people who can’t see the image. It also helps when images fail to load, and with SEO. I’m looking forward to running the workshop again next year, and using the feedback we received to make it even better.